What is the Starskills 40 Weeks Program? 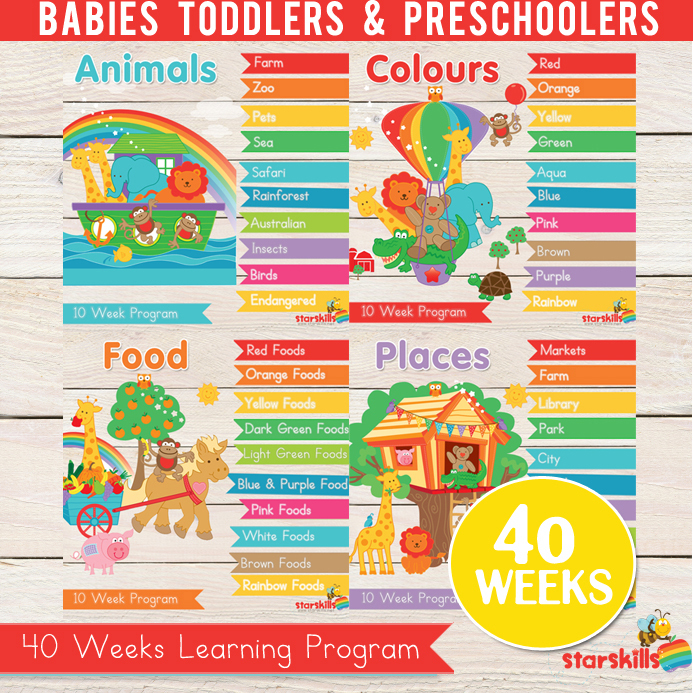 The Starskills 40 Weeks Program (available here) is designed for children aged 0-5. It is a weekly program that provides a literacy and numeracy introduction and focus. Children develop vocabulary, count and clap words. It is a visually based program with educators being able to login to the weekly early learning video, collect weekly learning cards. Parents are kept involved with “Homework Cards” each week this is great for parents who desire to be in touch with what is happening with their children each week. They love collecting the cards and feeling apart of their child’s learning. Who is the Starskills 40 Weeks Program for? The program is perfect for playgroups, daycares, 3 plus programs, and anyone with a desire to teach the babies, toddlers, preschoolers and kindy children in their life. 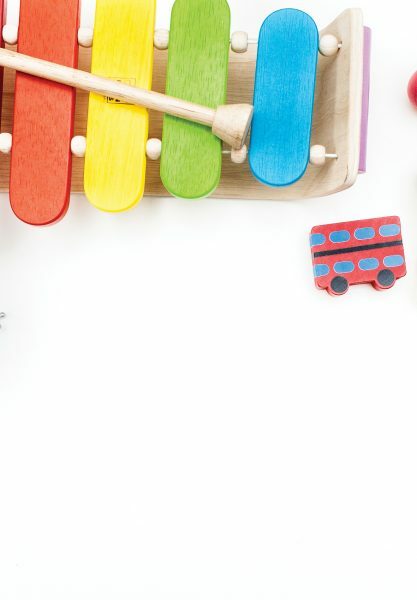 The simplicity of the program provides a simple framework but is flexible enough to add your own touch to and tie into teaching regarding the EYLF. I have found children love knowing what is coming each week with regards to structure. The structure below is tried and tested over a year and the children and parents love it. Of course you can change it to suite your children. * Please note you will make changes to suit your setting. Children “sign in” – practice writing their name as they come into our class. Read books and then we pack away. Depending on my EYLF focus I will have simple fun activities set up on blankets / different areas. Children take Home their Weekly Vocabulary Card, Vocabulary card and Counting card to clap syllables each week, as well as talk about the meaning of their new words in order to extend the child’s language and pronunciation. Over the years this program has been used in playgroups in at risk areas as an Early Intervention Program.The Starskills 40 Weeks Program has been used as an Early Intervention Program to help young learners from birth to 5 who may be considered at risk. This risk may be due to social, intellectual or developmental factors. An early intervention program is designed to support parents in helping their children to learn. 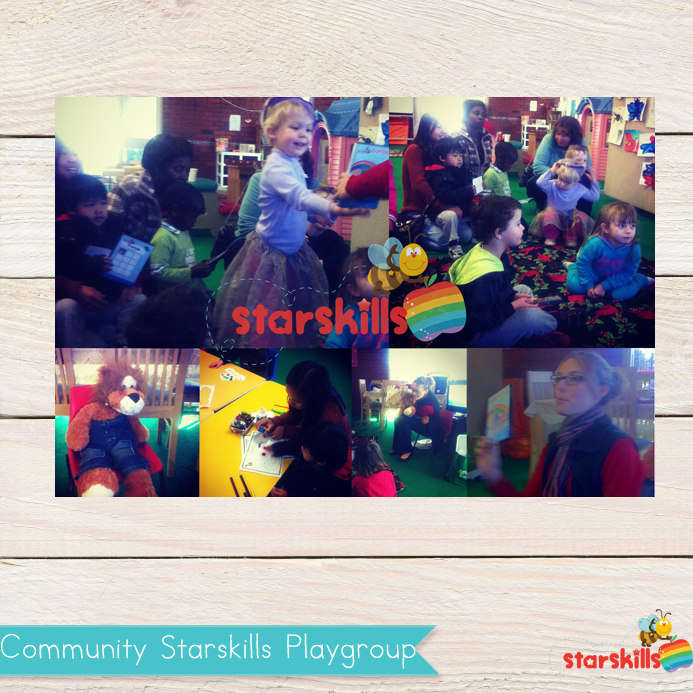 Starskills Early intervention program is designed for community play groups wanting to help the most vulnerable in society and give such children a better start. Children who have a head start before they enter into the schooling system. 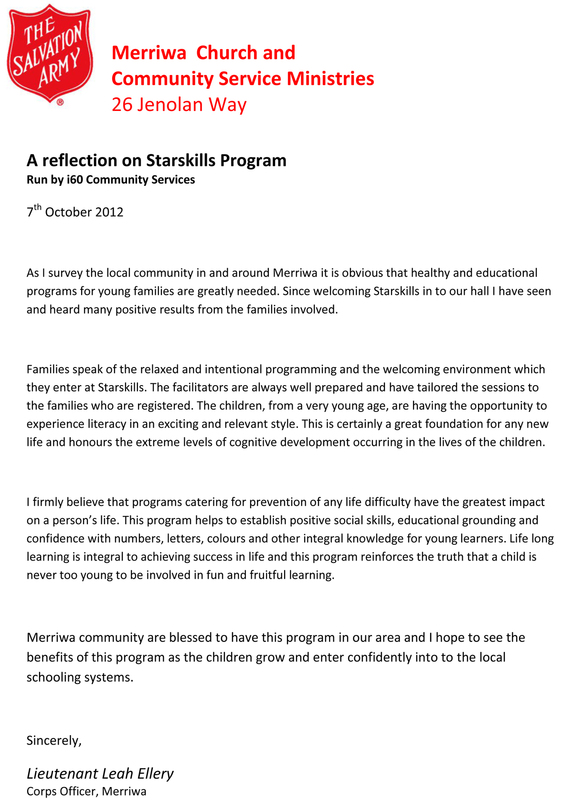 Starskills Early Intervention Program gives leaders and parents a weekly focus. Infants, toddlers and pre schoolers can all be involved with this Early intervention Program. The layout is simple and easy to follow. 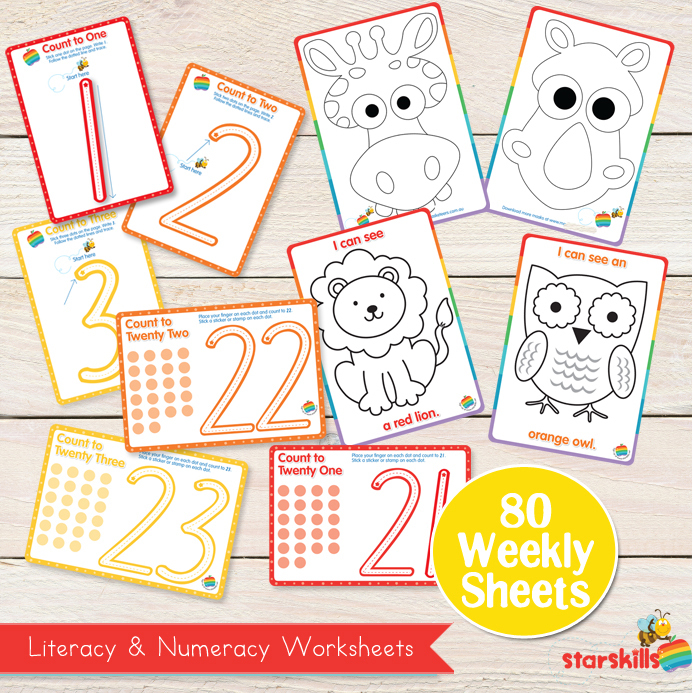 It is designed to help children develop early literacy and numeracy skills. Early Intervention is absolutely essential is children are to be ready for school – especially if there are present risk factors. After nearly 50 years of research, there is evidence–both quantitative (data-based) and qualitative (reports of parents and teachers)–that early intervention increases the developmental and educational gains for the child, improves the functioning of the family, and reaps long-term benefits for society. Early intervention has been shown to result in the child: (a) needing fewer special education and other habilitative services later in life; (b) being retained in grade less often; and (c) in some cases being indistinguishable from nonhandicapped classmates years after intervention. The Starskills 40 Week Program is broken up into 10 week blocks. The first program is Animals the second Colours, Food and finally Places. Starskills 40 Week Program for infants,toddlers & preschoolers. A 40 Week Program for 0-4 year olds at home, daycare or playgroup! 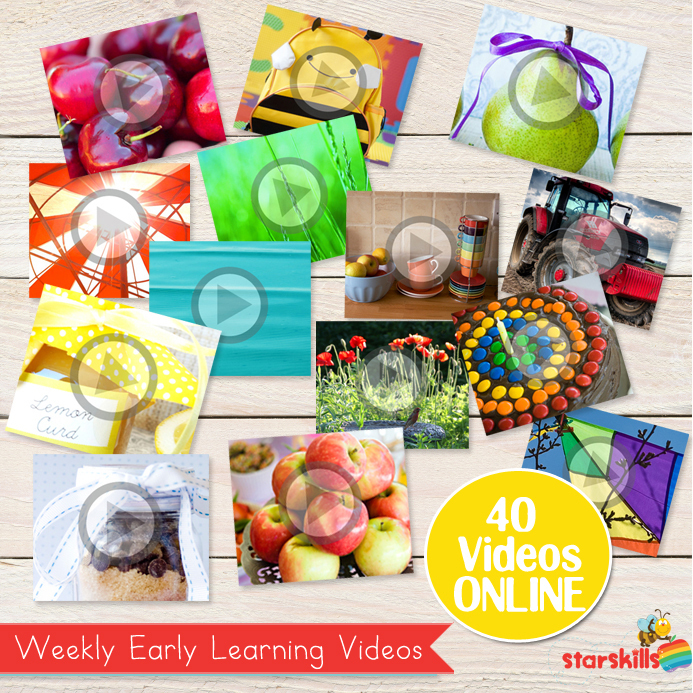 40 Weeks of teaching for your baby, toddler and preschoolers! Weekly overview to follow, weekly learning cards, vocabulary cards and homework cards & weekly videos. 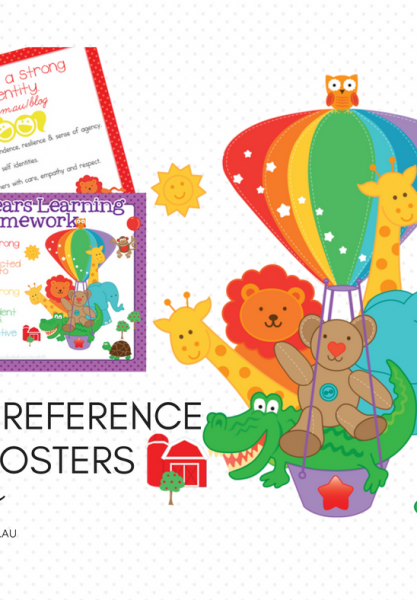 Perfect for at home or your playgroup coop or early learning setting! The 40 Weeks is broken into 10 Weeks blocks…. This program is perfect for home schoolers, playgroup coops, Three plus programs, Kindergartens, family daycares, educators of babies, toddlers and preschoolers. 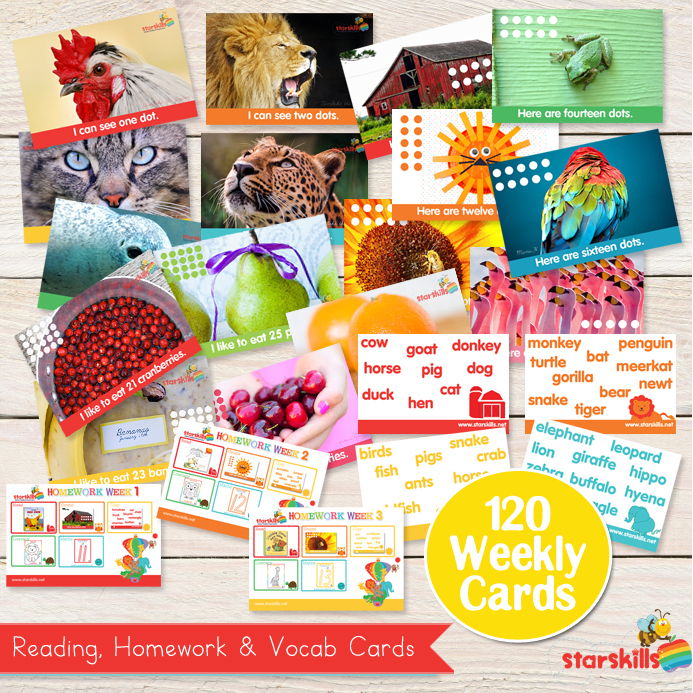 * Have weekly learning cards to send home each week to encourage parents to continue on with their child’s weekly learning. This Program also ran in the community – Anglicare’s Community Playgroup as well as a Salvation Army in Merriwa, Western Australia. UPDATE: Starskills 40 Week Program is available online and can be bought here. Starskills is a great program for our family. I have been a teacher and now homeschool my children who are 2, 4, 6 and 8. The excellent graphics and simple activities give a great variety of activities that the children enjoy. One of my favourite aspects of the program is the choice of books that we read over and over each week…and over! They really love them. The beauty of having older children is that they now read these books to the younger ones and help them with their mask and craft activities. We really can all be involved in these activities at home! For my younger two, I don’t force them to do the activities but rather have them ready on the table for when they want to be like one of the big ‘school kids’. Everything we need is usually already in our cupboards and they often ask for more activities to do! I would really recommend this program for your family or playgroup. I have a family daycare business from home which I work 4 days a week. I love the look of your program and just have a few questions that I’m hoping you can fill before I purchase the program. Is the activity each week the same each day of that particular week, not a different learning sessions ach day of the week, I work 4 days an hoping I wouldn’t be missing out on teaching something on my day off. Are all the resources downloadable? Just curious to know roughly the cost of printing all the cards etc, do you home print, office works, print in card paper or photo paper? Included in the membership do you have a support email if we have questions or need help? Do you have a Facebook group with other people using this program that can share their experiences? If not, maybe an idea.